In a time where journalists are being accused of “fake news”, and competing with the all-encompassing internet for facts versus fiction, things seem bleak for those hopeful to continue being the watchdogs of society. Veteran journalist Alan Rusbridger however, wants news hunters to “treat journalism as a public service,” advocating that journalism of all kinds is vital to the well-being of citizens. 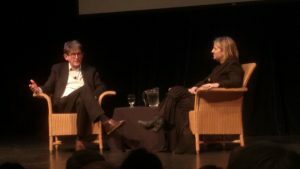 Rusbridger arrived in Toronto in early November to promote his new book Breaking News: The Remaking of Journalism and Why it Matters Now. While in Toronto, he stopped for a CBC Radio interview with The Current’s Anna Maria Tremonti. Later he answered some questions from moderator Irene Gentle, editor of the Toronto Star at the Isabel Bader Theatre as part of the CJF’s Journalism Matters talks. He then explained that sending information and news was now on a vertical axis, in that everyone had the same level of access to send information and stories and communicate around the world. And because of this, there was less trust in what actual journalists were saying, and more so in who would write blogs and tweets which had some aspects of proper journalism, but weren’t actual journalists, and could misinform or even outright lie. “About 50 per cent of people are disengaged with news because they just really don’t know who to trust. About two-thirds of people say they can no longer tell what’s a good source and what’s not a good source, and that seems to be really frightening,” warned Rusbridger. Rusbridger was an editor at The Guardian for 20 years, taking part in investigations into Wiki Leaks, Britain’s phone hacking scandal, and worldwide NSA surveillance programs on behalf of the U.S. government, all of which shook the western world. In his 20-year career, he was among the first journalists that transitioned from print newspaper to news website with the beginning of the world wide web. If anyone at Sheridan is interested in the future of the journalism industry, on Jan. 31 at the Isabel Bader Theatre, the CJF is hosting a Journalism Matters talk: Driving Innovation in Media. 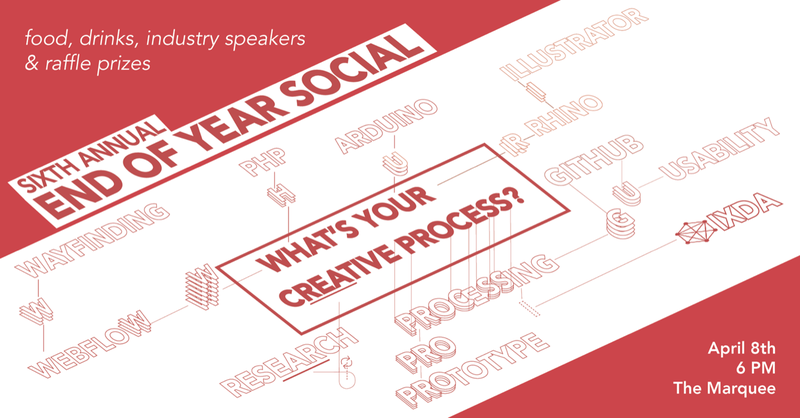 The talk will feature Inga Thordar and Aron Pilhofer. 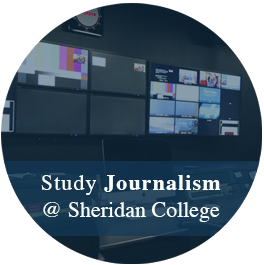 Robert Koumarelas is a Journalism student at Sheridan College. Motivated to bring a bit of progress and hope to the world, Robert was inspired to become a journalist so that people in the world knew what was happening, and through that information, bring about progress and positive change.